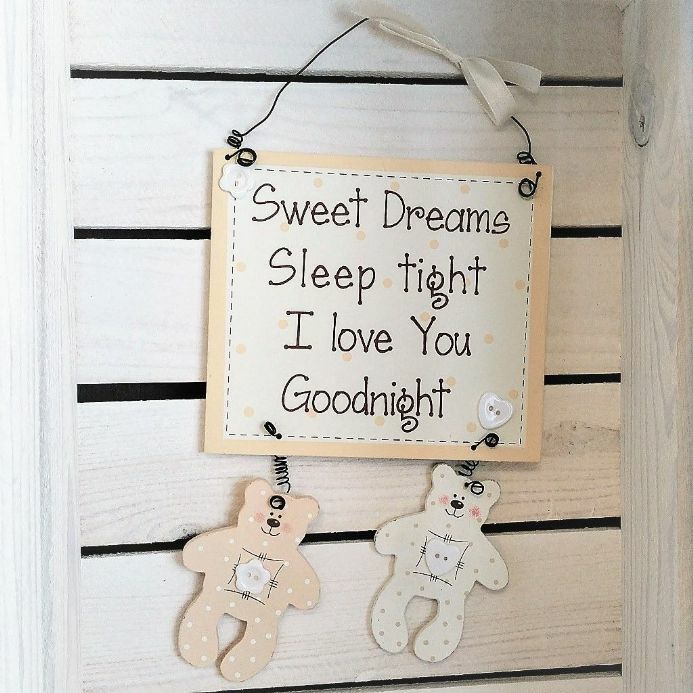 Pastel coloured hanging plaques with baby script and teddy bear design. 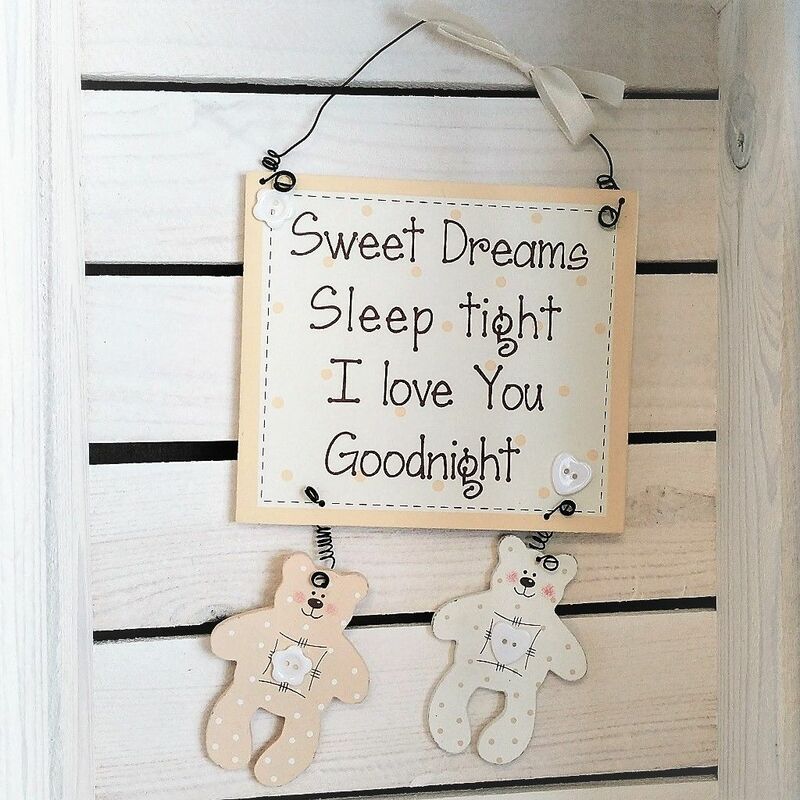 Sweet dreams, sleep tight, I love you, goodnight. 3 different styles in the range.